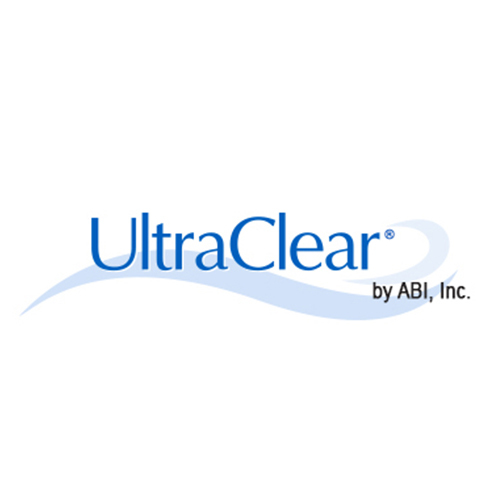 UltraClear Specialized products for treating : Wastewater, Lagoons, Farm Ponds, Decorative Ponds, Septic Systems, Grease Traps, Aquariums, Industrial Process Water. This liquid formulation contains the "good" bacteria that is necessary for the nitrogen cycle. These non-pathogenic bacteria will consume nutrients that cause excess algae and restores water purity. Highly recommended to be used to seed a new biological pool filter. Reduces ammonia and nitrite levels. Beautifies ponds, improves clarity, reduces organic sediment and is beneficial to fish and wildlife in ponds. Use routinely in the water garden pool, pond or indoor aquarium to keep the water clear. Begin with one ounce per week to treat water garden pools up to 2500 gallon and after one month reduce to twice per month or as needed. Treats water garden pools and large or small ponds! For each of the three main applications (Spring Prep, General Maintenance, and Problem Ponds), UltraClear dose is based on the volume of the water to be treated. Up to 2,500 1 oz. 2,500 to 5,000 2 oz. 5,000 to 10,000 4 oz. 10,000 to 20,000 8 oz. 20,000 to 40,000 16 oz. Spring Prep: Dose according to the chart for three consecutive days, then revert to the maintenance dose (once a week, or as needed). Use the Spring Prep dose at the beginning of the pond season, or whenever you are adding significant numbers of animals, plants, or other features to your pond. General Pond Maintenance: Dose according to the chart once a week, or as needed. General Pond Maintenance can be started at any time. In most cases, best results are obtained with once a week doses, though some ponds may require treatment as infrequently as once a month. Problem Ponds: If the pond is experiencing severe clarity problems, bad odors, or other signs of nutrient imbalance dose 2 or 3 times per week until the problem is solved, then revert to the maintenance dose. UltraClear® Sludge Digester eliminates sediment pond sludge and pond muck from fish and animal waste, decaying leaves and grass, uneaten fish food, or dead algae. Prevent oxygen depletion from unhealthy pond sludge during the spring and summer. It is difficult to manually remove pond sludge, which is why Sludge Digester is the perfect solution for ponds struggling with sludge issues. Pond sludge causes four significant problems. First, pond sludge depletes oxygen reserves, particularly during warm weather. Low oxygen levels can be stressful or fatal to fish and wildlife. Second, the resulting anaerobic zone (an area without dissolved oxygen), which allows dangerous disease-causing bacteria to grow. The larger the anaerobic zone, the greater the potential for harmful pathogens to develop. Third, pond sludge is the main cause of unpleasant pond odors, like hydrogen sulfide, which emits a rotten egg odor. Fourth, pond sludge releases nitrogen and phosphorus that cause severe water quality issues such as algae blooms. Regular Pond Maintenance Dosage: Add one ounce for every 1000 gallons (Note: 1000 gallons equals 135 cubic feet). Dose at least once a month, or up to once a week for best results. Do not dose more than once a week during the peak summer season. Fall Clean-Up Dosage: Use the clean-up dose at the end of pond season, when temperatures and sunlight are reduced (compared to peak summer conditions). Add one ounce for every 1000 gallons daily for 4 to 7 consecutive days. UltraClear Oxy is an effective oxygen-based solution for cleaning rocks, waterfalls, fountains, statues, plant pots and ponds in general. Contains sodium percarbonate and sodium carbonate for powerful oxygen based cleaning of rocks and crevices in waterfalls as well as stains on rocks, fountains, statues and other stone surfaces. Shut off waterfall. Manually remove any obvious debris or material for rocks and waterfall. Sprinkle UltraClear Oxy cleaner directly over areas that need to be cleaned. Do not apply directly to live plants. Treat pond with UltraClear Clarifier 24 hours after using Oxy cleaner to ensure proper biological balance in pond.